According to the data published by the World Gold Council, the major gold buyers in the global gold market were Central Banks. Hence, it has been the 4th year when the Central Banks have been buying yellow metal for their reserves. The total amount of gold bought by Central Banks is 119.4 metric tons of gold. In comparison, in the first quarter of 2014 were bought 119.8 metric tons of gold, which shows that the dynamics remain stable. 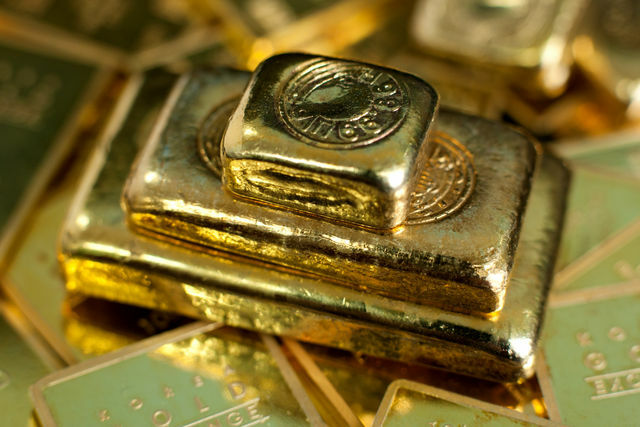 In the latest years, the main buyers of gold have been Russia with 30 tons in the 1st quarter of 2015, Belarus, Malaysia, Kazakhstan and Mauritius. Usually, Central Banks buy gold to diversify their external reserves. Most frequently, a great deal of these foreign reserves are kept in the country's currency, as it is the closest trading partner. Also, Central Banks buy gold for hedging risks from unexpected interest rate fluctuations. It must be said that the level of volatility risk of currencies has grown lately. What can be said about the situation in the world? The US employment data lately published has turned out negative, while Greece's situation continues in a tight spot. The curious fact is that the demand for gold from the Central Banks grows in inverse proportion to the demand from institutional and individual investors. The reason for that could be that some investors mistakenly build short-term strategies, while gold is an asset profitable in the mid and long-term. The experts in Central Banks take into account years ahead, which is a good piece of advice for investors. Follow the topical news and share this useful information in social networks!